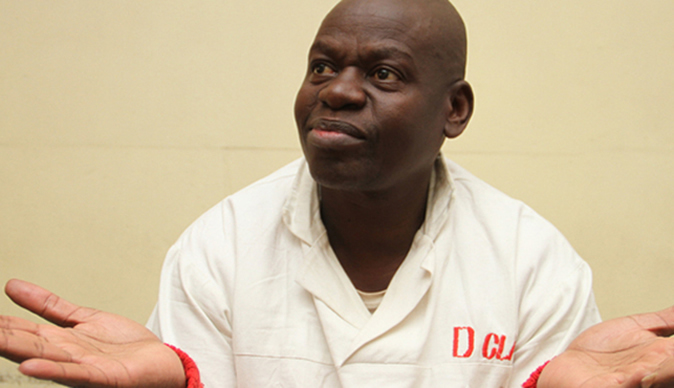 Jailed church leader Robert Martin Gumbura and his nine accomplices, who are accused of masterminding a failed jailbreak at Chikurubi Maximum Prison in 2015, have enlisted the services of constitutional lawyer, Lovemore Madhuku to challenge delays in their trial. Gumbura, the leader of RMG Independent End Time Message Church and his accomplices Blessing Chauke (25), Lucky Mhungu (38), Taurai Dodzo (47), Thomas Chacha (37), Thulani Chizema (32), Jacob Sibanda (28) and Elijah Vhumbunu (38) and armed robber, Lucky Matambanadzo (39) last appeared on trial in September 2015 where only two of the 24 State witnesses have finished testifying. Only Elijar Vumbunu is out of custody on bail for the case after completing his 10-year sentence for robbery. The nine accused persons, who are facing charges of attempting to escape from lawful custody, incitement in aggravating circumstances or alternatively conspiracy in aggravating circumstances for malicious damage to property, are appearing before magistrate Francis Mapfumo and the State is represented by chief law officer Michael Reza. Allegations are that on February 13, 2015 at around 9am, the inmates refused to eat porridge which had no sugar. They demanded to see the officer-in-charge, a Chief Superintendent Marange, who then sent his deputy, a Superintendent Dumbura, to address them. At that time, the inmates pushed out the food containers which had been brought for lunch, refusing to be addressed by Dumbura. Dumbura left the complex's C Hall and went to D Hall, where he ordered for food to be brought in and served to those who wanted to eat. The court heard that before the food was served, Titus Mandikodza, who is now late, went on top of the roof through a hole in the asbestos sheets, which they had already drilled. At that moment, it is alleged, Vhumbunu and Sibanda took sadza and vegetable relish and threw it at Dumbura and that is when violence erupted, with prisoners vandalising property worth over $450 000.